You can buy tickets online using the links on this page, payment will be made using PayPal, one of the safest online payment services. If you don’t have a PayPal account and don’t want to set one up, you can pay as a PayPal guest. After booking you will receive a receipt and confirmation from Paypal. When you arrive at the festival please bring the receipt to the Box Office Tent, so that we can issue your tickets. If you don’t have your receipt it may take more time to issue your tickets. During the booking process you will see a note stating that the shipping method had not been specified, please don’t be concerned by this, as mentioned above we will issue the tickets purchased at the Festival. All concerts take place at All Saints Church, Down Ampney. 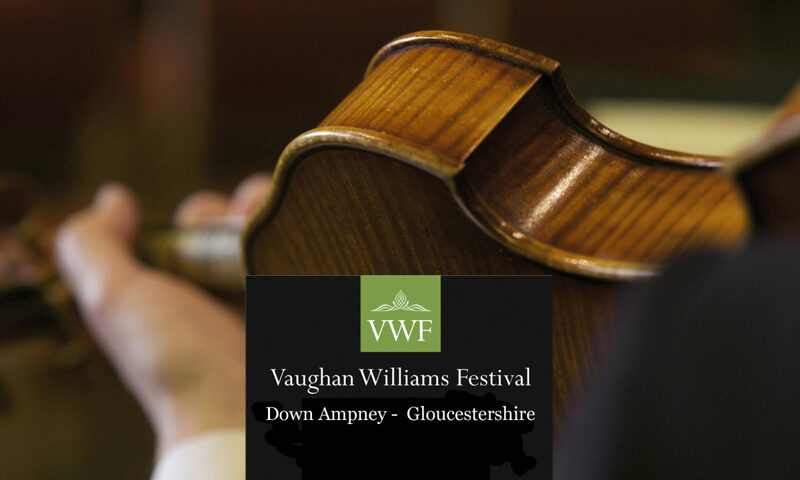 Down Ampney was the birth place of RVW and his father was the Rector there. The seating will be unreserved, so we suggest that you aim to be seated at least 10 minutes before the start of each concert, any seats not taken 5 minutes before start of each concert may be allocated for sale at the door. Package Tickets are available for the whole festival at £100 (entry to all concerts and events, representing a free £20 event) or tickets can be purchased for individual concerts . the festival would be grateful for a donation, in addition to buying tickets. Richard Morrison traces the fascinating history of Down Ampney . The lecture will be interspersed with some wartime songs. Following the performance and included in the ticket price, celebrated author, preserves and baking tutor Vivien Lloyd presents a cream tea in the Festival marquee.